Bailey, oil pastel on paper, 9 x 12″, 2011. 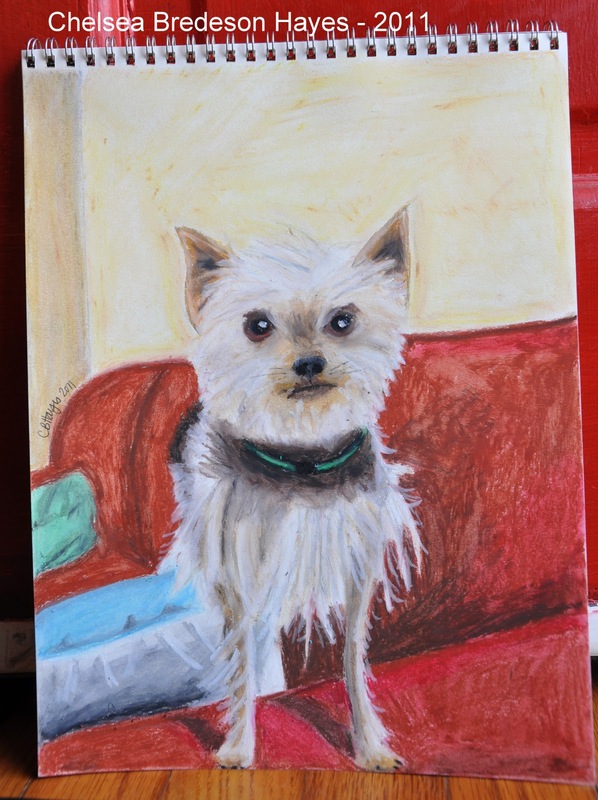 This drawing is of a friend’s miniature Yorkie and is a (very) belated birthday present. This has to be my favorite pet drawing to date – it captures her squirrely attitude perfectly. 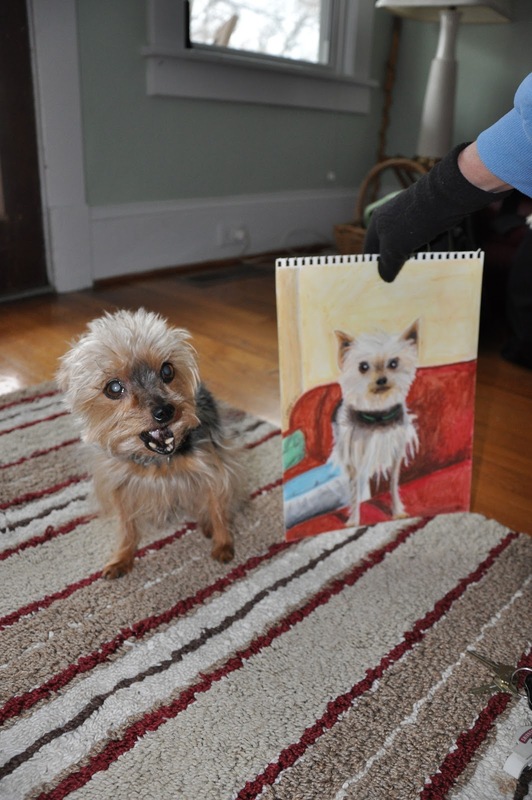 Bailey sitting next to her drawing. Happy New Year! This artwork was supposed be finished in time for Christmas for my friend, Julie, but I guess it will now be a Happy New Year artwork. I found this fun frame at TJ Maxx at the same time I found the red frame Lauren’s Day of the Dead collage. She is a huge fan of green so I built the artwork around the frame. I thought she may be able to use this as art in her little boys’ bathroom. This may be new territory I am getting into here: children’s art. 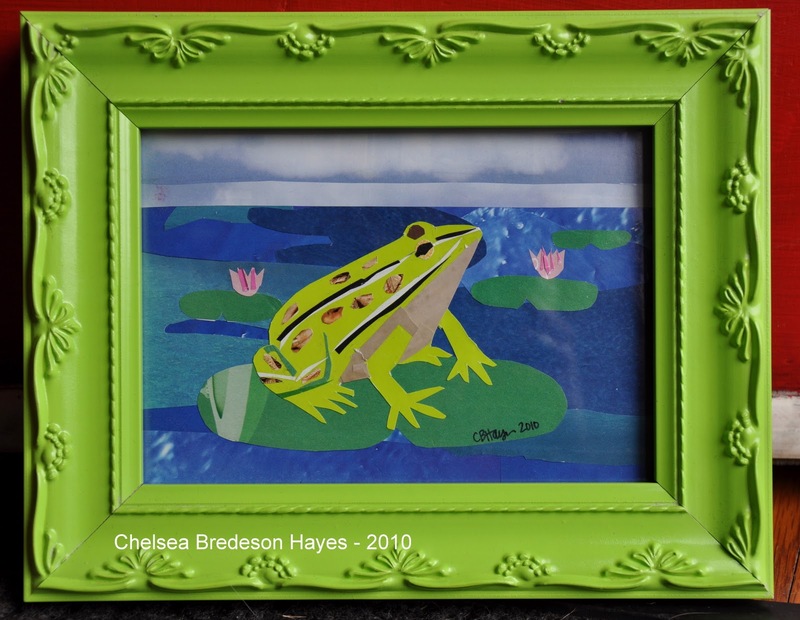 Frog on Lily Pad, collage on paper, 5 x 7″, 2010.